Online therapy is offered via email, making it easy to communicate at your own pace and within the privacy and comfort of your own home. Face to Face counselling is a more conventional way of participating in therapy and is available in the Interior of B.C. around the Kamloops region. 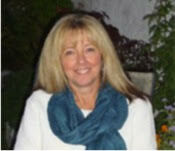 Carrie's passion is to assist people and families with navigation through life's many transitions. Read more about Carrie. The concept of "Dragonfly" as a therapeutic philosophy, is derived from a story of a dragonfly nymph who lives life in the mud, content with what is, afraid to "climb the stalk" and become the beautiful, free-flying creature, he/she is intended to be. I chose this symbol because I believe that life is about transition.